As everyone and their moms are on their way to NYFW, I have been indulging and supporting some of our local talented designers here in San Diego. 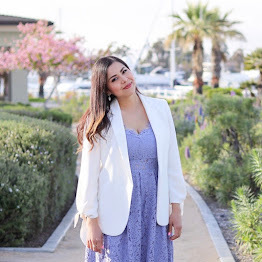 Fashion Week San Diego (which is taking place September 30- October 6th) gave us a one look per designer sneak peek last week that left me excited and wanting more. This year 26 designers will be showcasing their looks within 3 days of runway shows (vs the one night last year). It goes to show how much FWSD, its designers and production has grown, which is encouraging to a local fashion enthusiast like me. The looks that were showcased during the preview demonstrated the diversity of designers and styles-from menswear to edgy to classic- there is something for everyone. Here are some of my favorites! Noia by Evelyn (pictured above) is no stranger to FWSD, as she showed last year. This year she will be bringing us her new collection, which judging by this look will be spectacular. Not only do I love the color of that skirt, but I love that it is detachable for added versatility. Diestra Brand is comprised of a talented duo, Denise (pictured above) and Otilia. I drooled when this look walked past me, it is the epitome of a modern woman about town with the cropped top and the flared bottoms. C Venti by Christina Ventimiglia (love how she matched her look) showed this gorgeous dress that I kind of wanted to pull off the model! The impeccable construction and mix of patterns creates a perfect body flattering illusion that makes any girl feel good. Also announced at the press preview, FWSD designers Andre Soriano (who gave us a great show in FWSD last year and has a great for tv spark), Cecilia Aragon, and Dexter Simmons will be competing in Rihanna's new fashion television show Styled to Rock with "most fashionable man" Pharrell as one of the judges! The show premieres Tuesday, November 5th at 8 p.m. ET/PT on the Style Network, but FWSD will give us a preview on Thursday's runway! Another cool note: Naughty Monkey Shoes (who are based here in San Diego and I love working with) have allowed the FWSD designers to design their own shoes for their show! I can't wait to see the creations as they come down the runway. 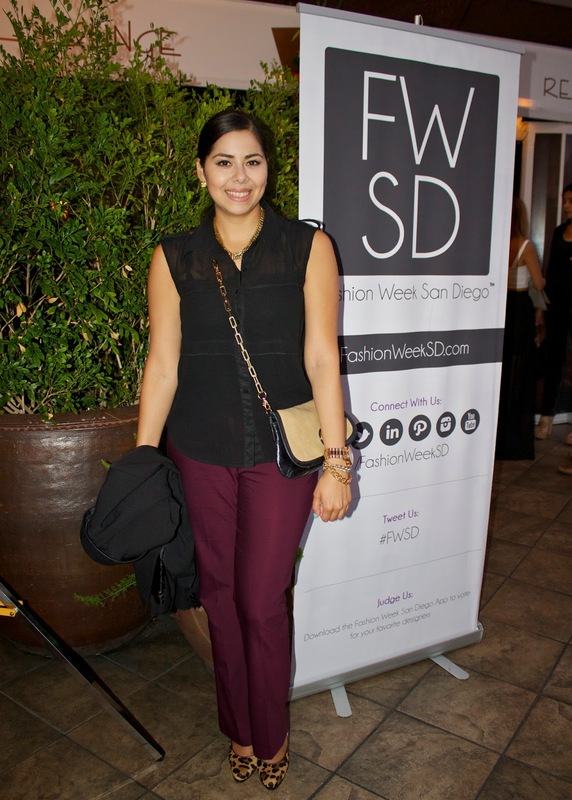 If you are from San Diego, support our local fashion community and buy your FWSD tickets before they sell out (here)! FWSD has been so kind to offer 2 general admission tickets to 1 of my local readers! Points are earned with each social network of mine & Fashion Week SD you follow (if you already follow me on some just put your username). The more ways you follow, the better chance you have of winning this amazing prize! This Giveaway will run until September 14, 2013 and is open to local participants or participants that will be in San Diego during the event dates. The winner will be announced and contacted shortly thereafter. Good Luck! See my coverage of last year's FWSD here! Wow That's a great event and a lot of beautiful People. proof on buy twitter followers and Facebook but you are also building a stronger more credible social media foundation that will allow you and your business to grow. Nice pictures. Simplicity in Design can be really effective in attracting people.